Here’s another post about an artist you’ve never heard of before, but you’ll never forget once you look at his work! My pal Tony "Superslice" Mora gave me this book as a birthday gift. It’s a real treasure. 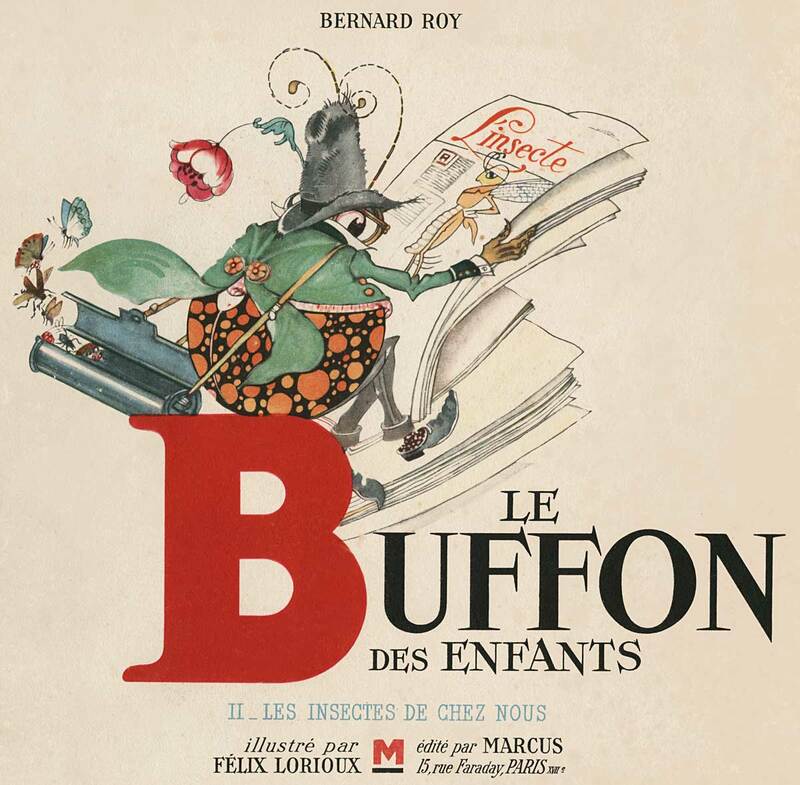 Felix Lorioux was one of France’s best loved artists, but he was a humble, quiet man who did little to promote himself beyond his home country. 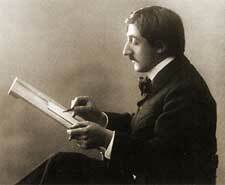 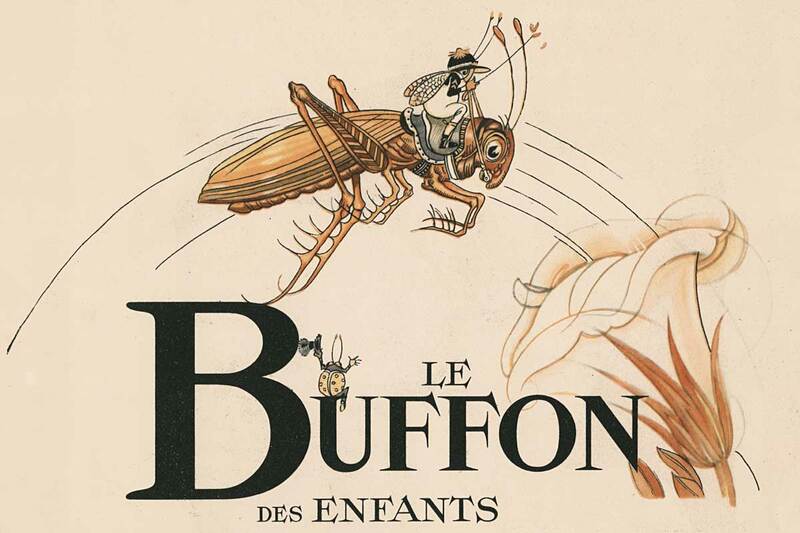 He was born in 1872 and began as a advertising designer. 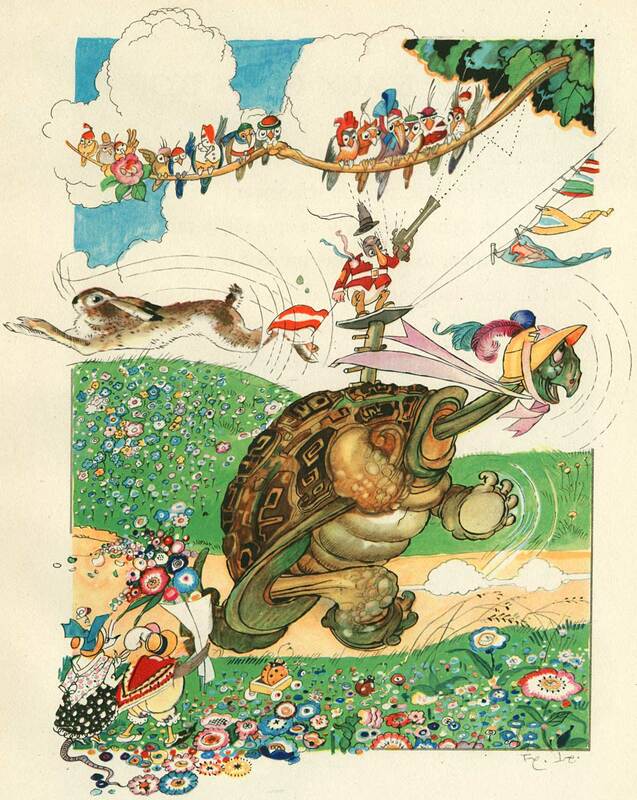 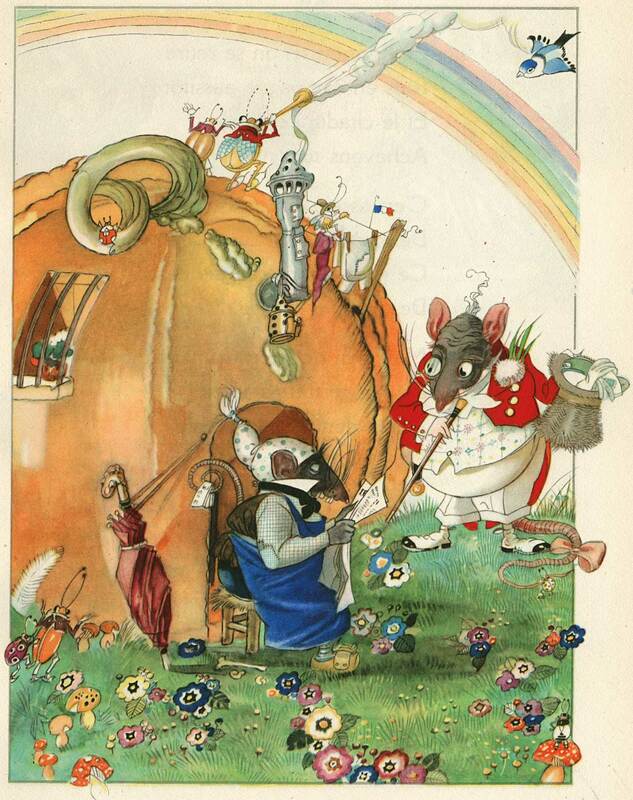 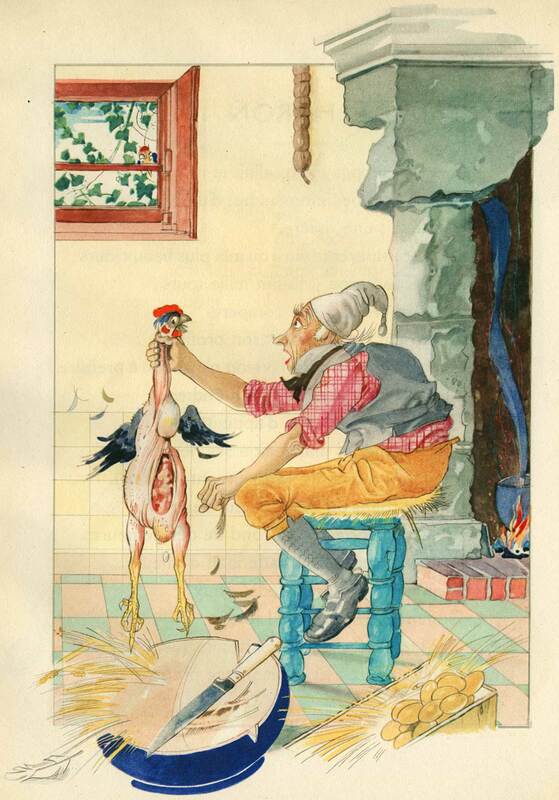 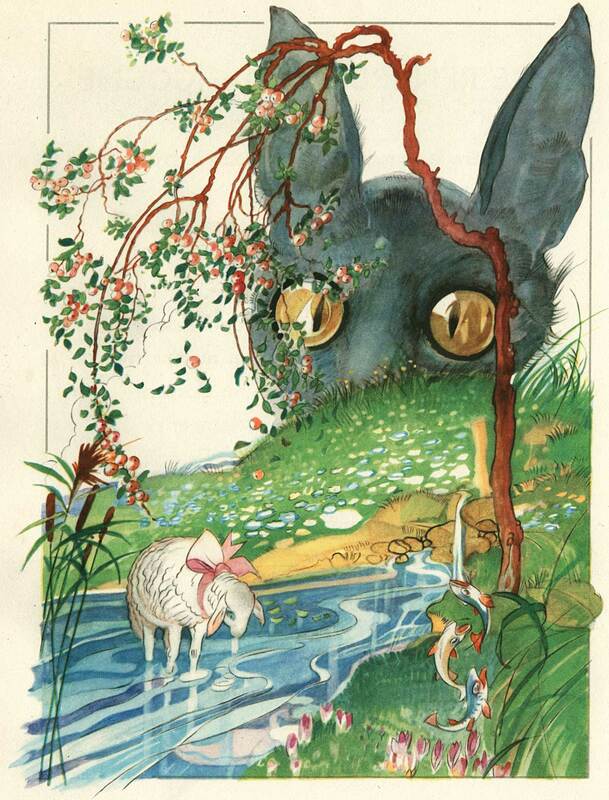 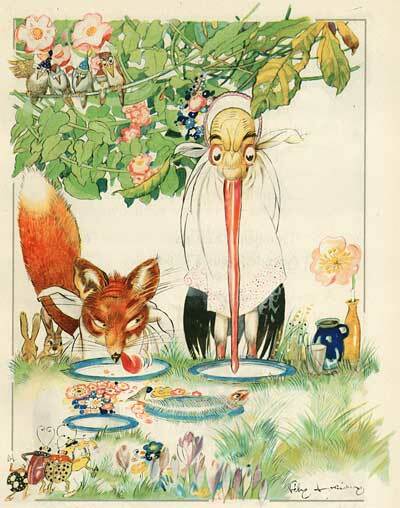 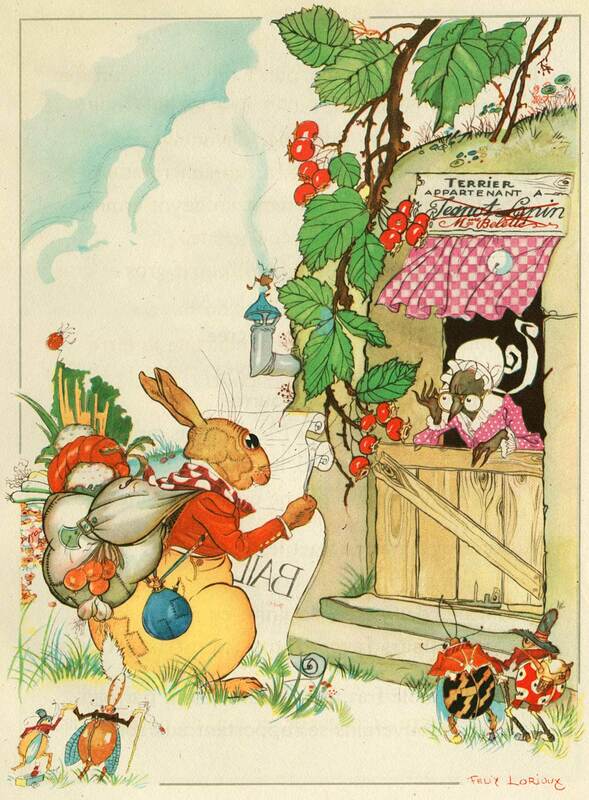 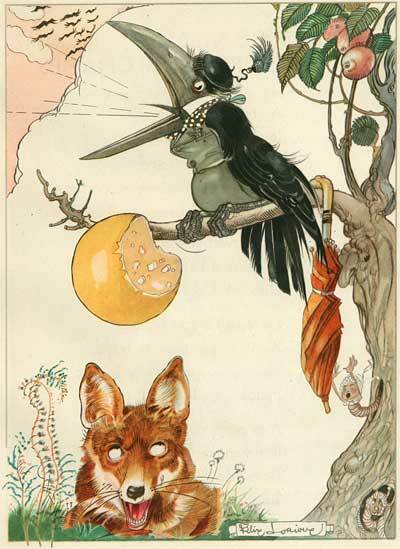 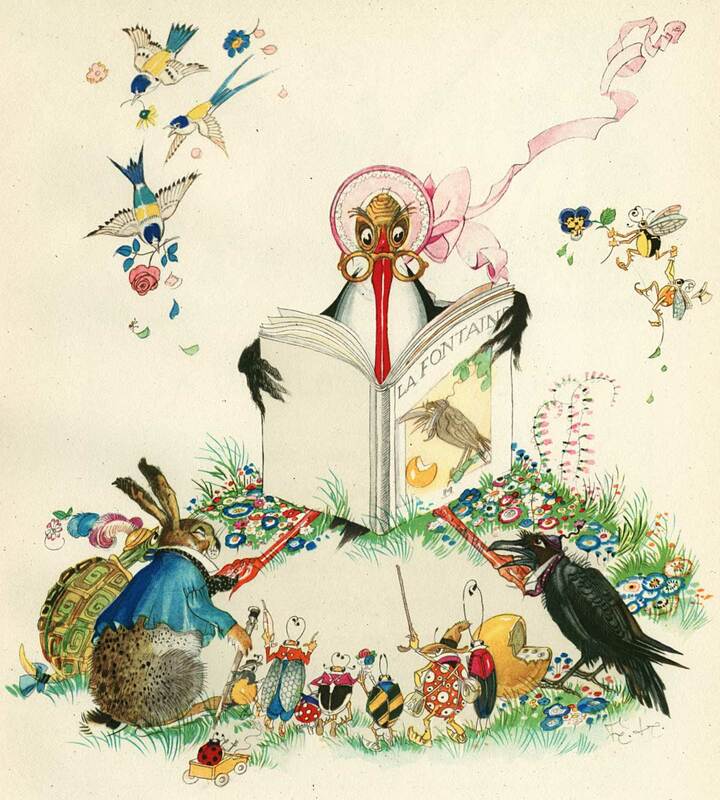 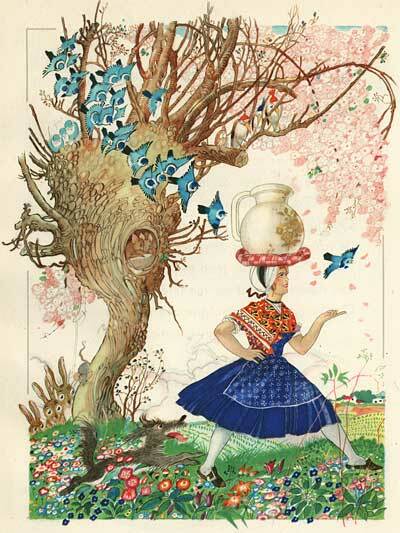 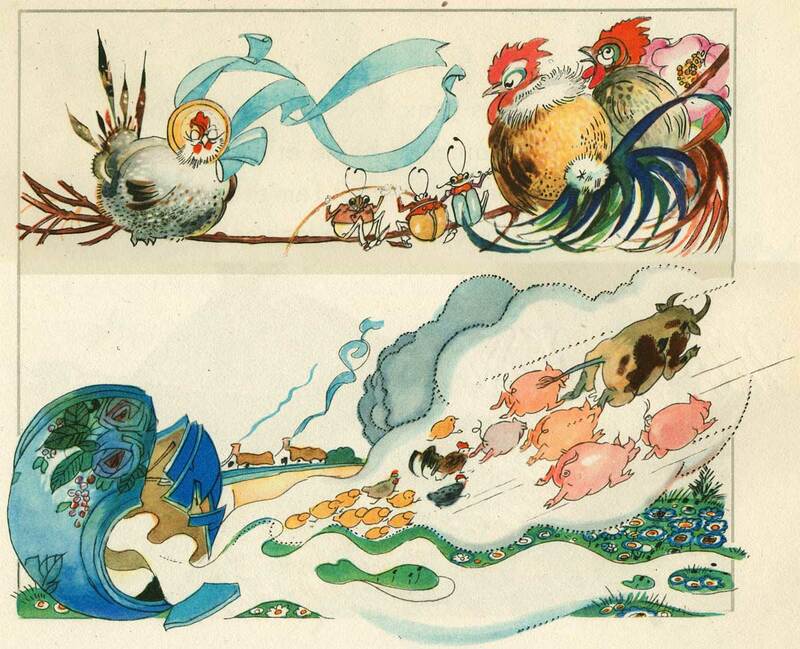 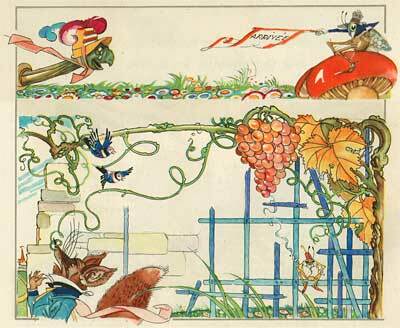 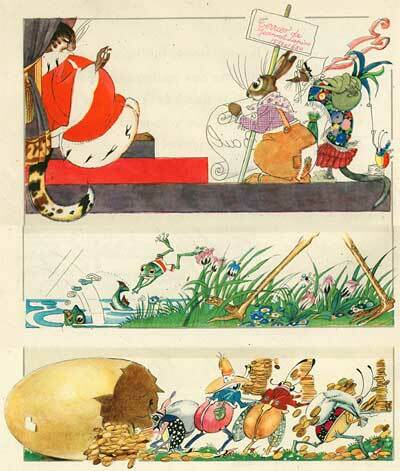 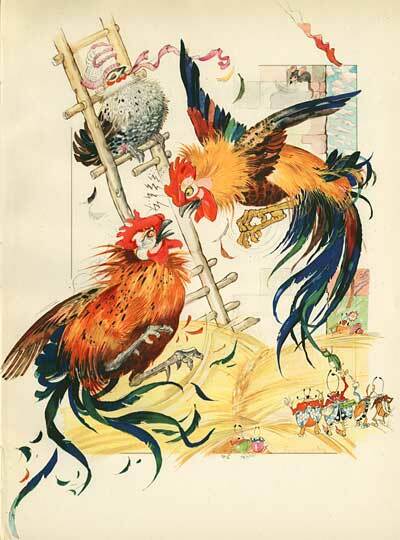 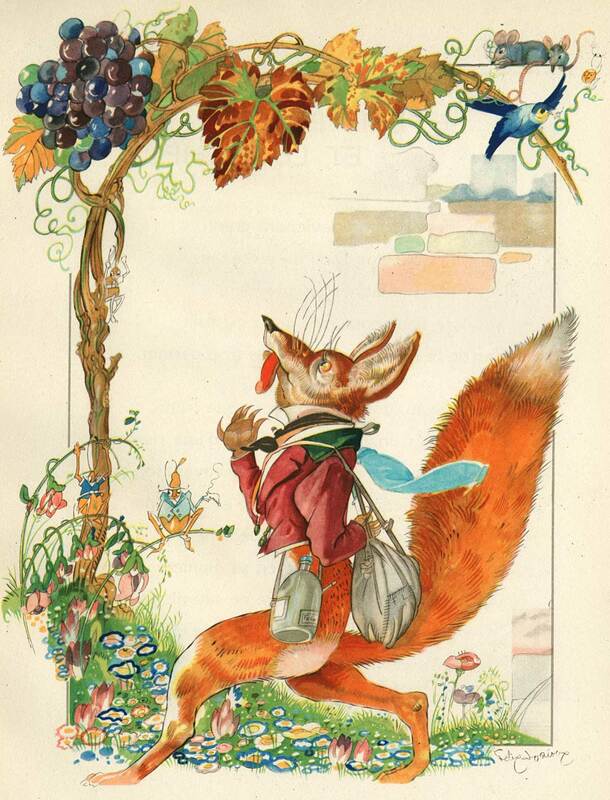 But his childlike sense of wonder led him to a career as a children’s book illustrator. 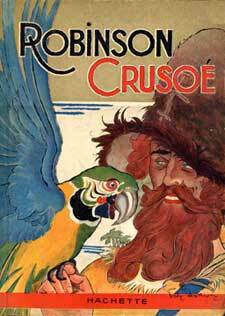 Walt Disney met him in 1919 when Disney was an Red Cross ambulance driver and Lorioux’s wife ws a Red Cross nurse. 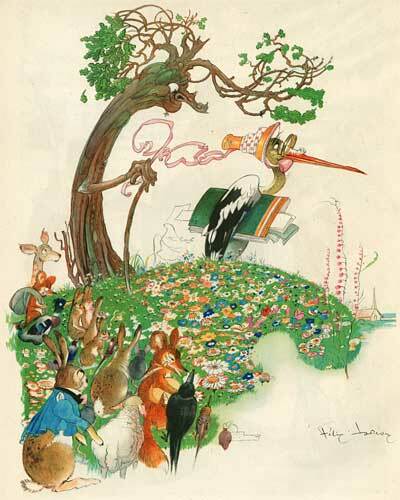 Disney was impressed with his abilities and hired him to illustrate books for the French market based on Mickey Mouse and the Silly Symphonies. A Lorioux illustration of a duck in a sailor suit may have even been the inspiration for Donald Duck! 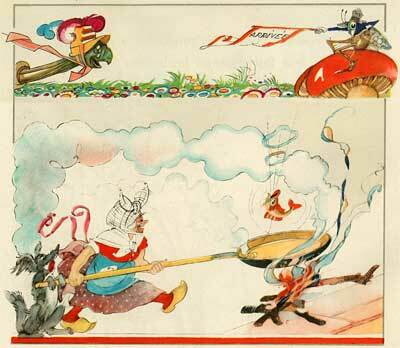 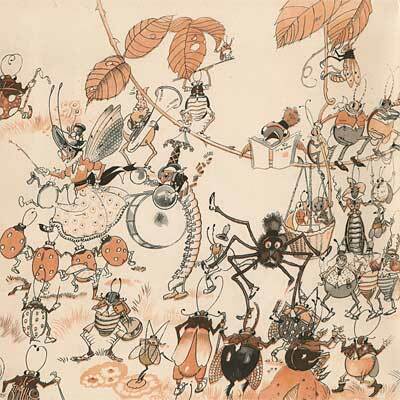 Around 1934, Lorioux resigned from illustrating for Disney, citing the language barrier and also because he didn’t want to relocate to California to join the studio. 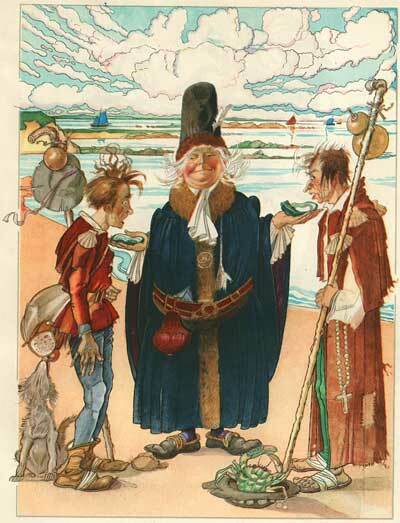 Lorioux went on to illustrate definitive editions of Perrault’s Fairy Tales, Don Quixote, the Fables of La Fontaine and Robinson Crusoe. 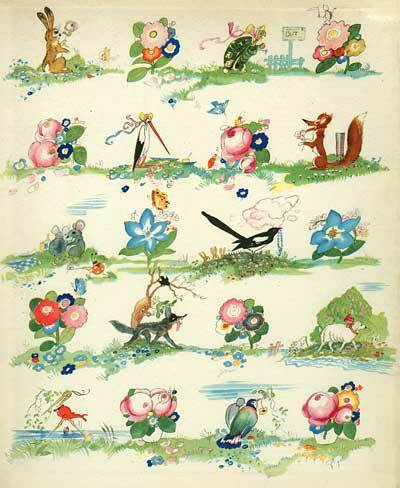 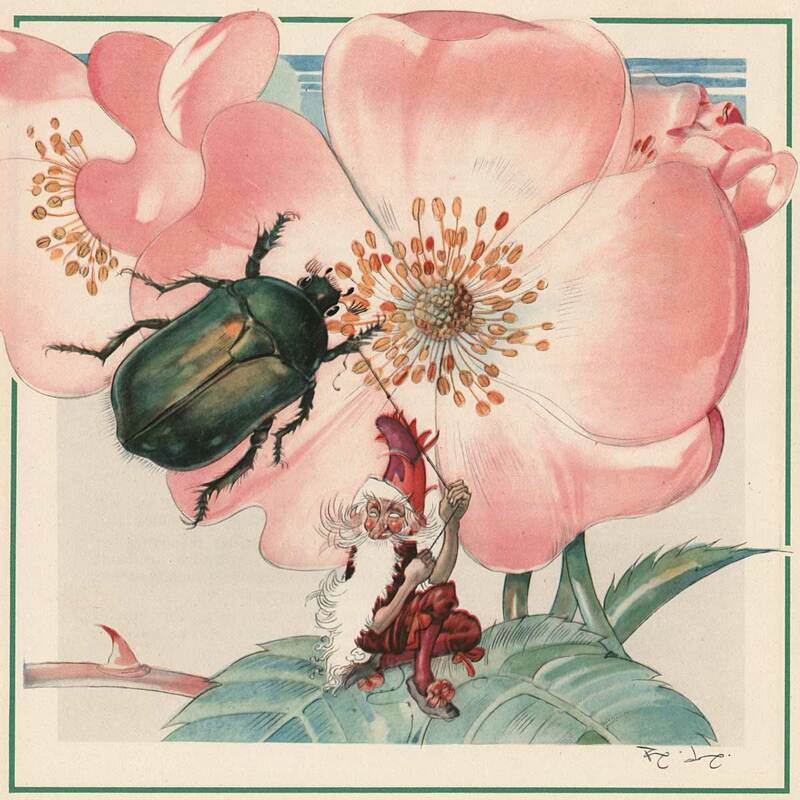 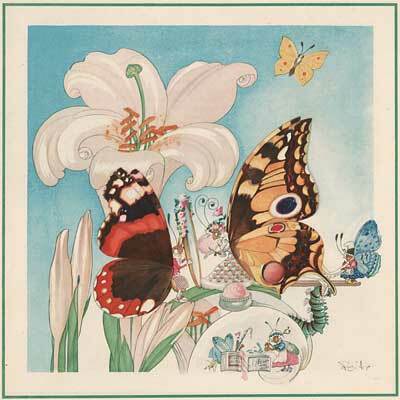 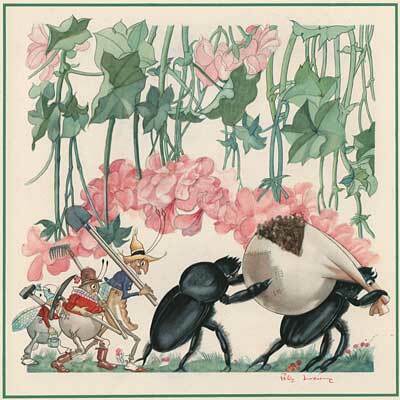 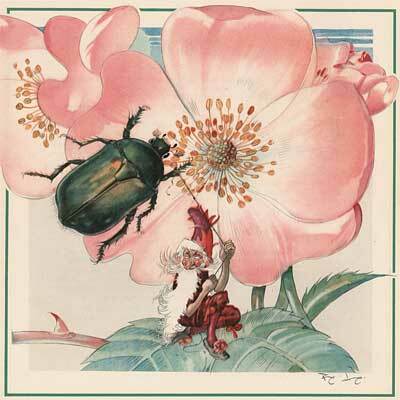 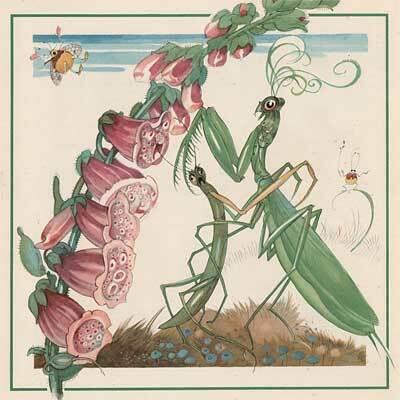 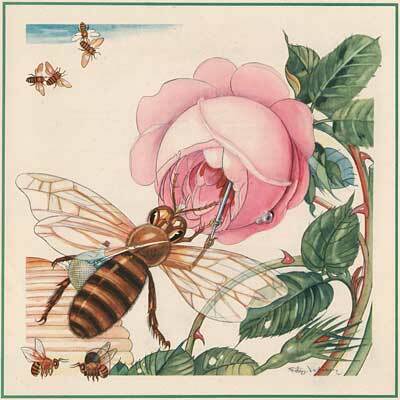 However, he was most at home painting delicate watercolors of the birds, flowers and insects in his garden. 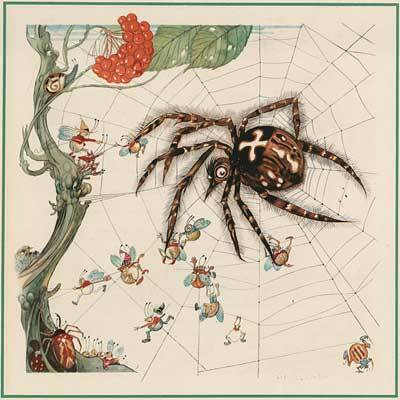 He imagined fantastic worlds populated by these little creatures. 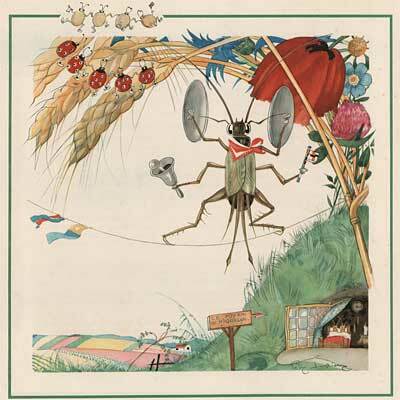 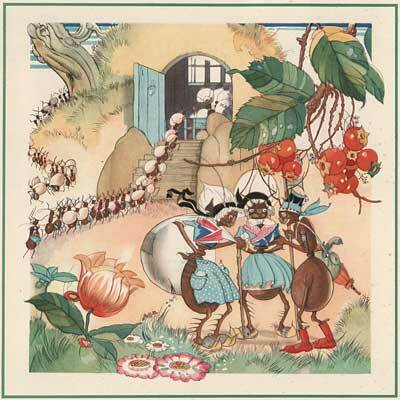 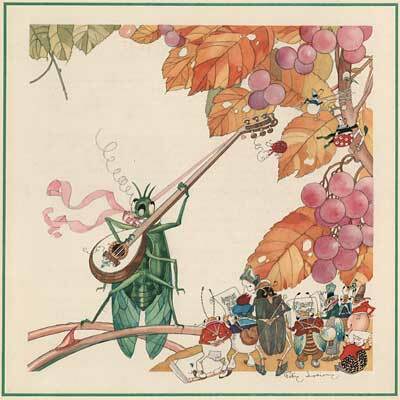 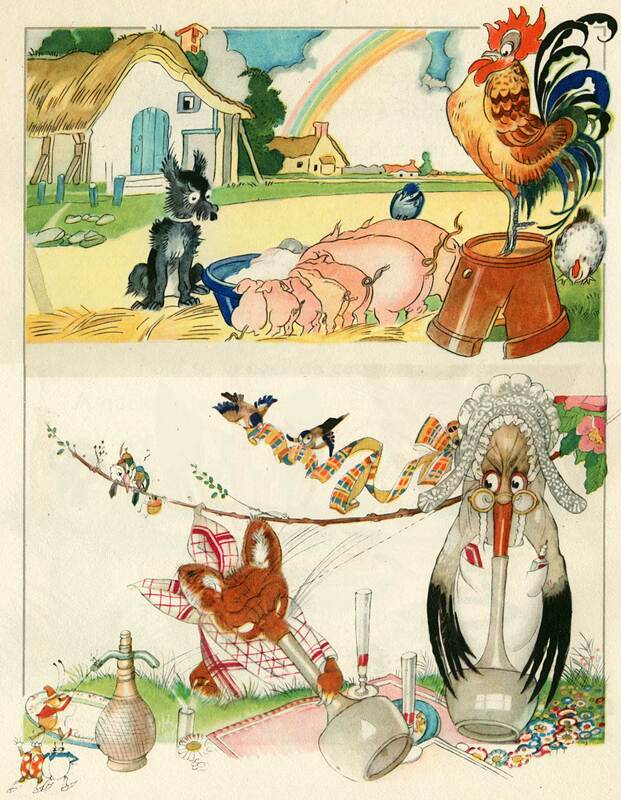 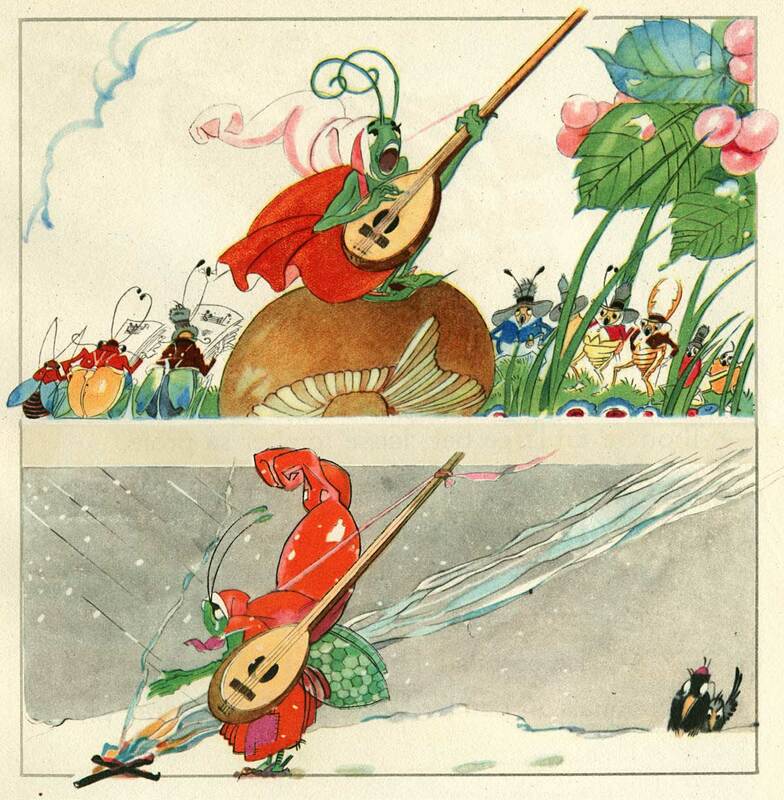 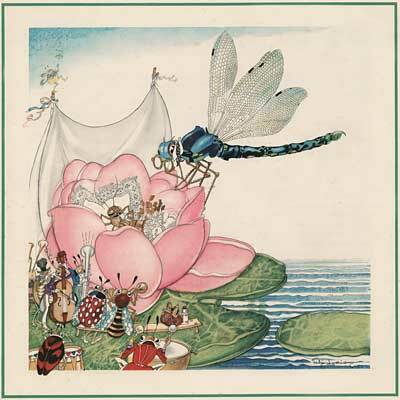 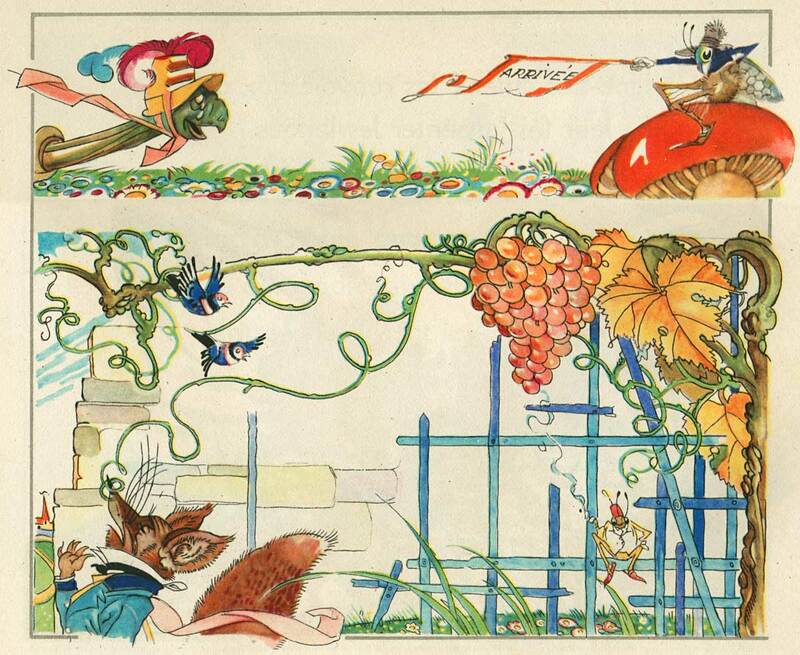 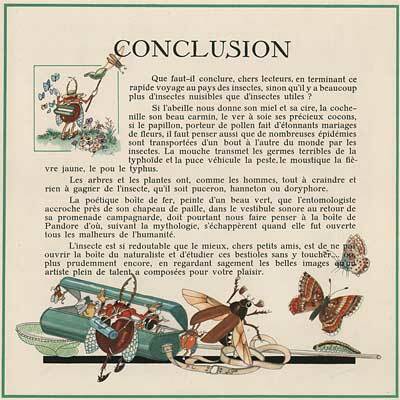 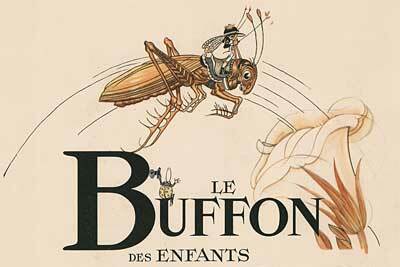 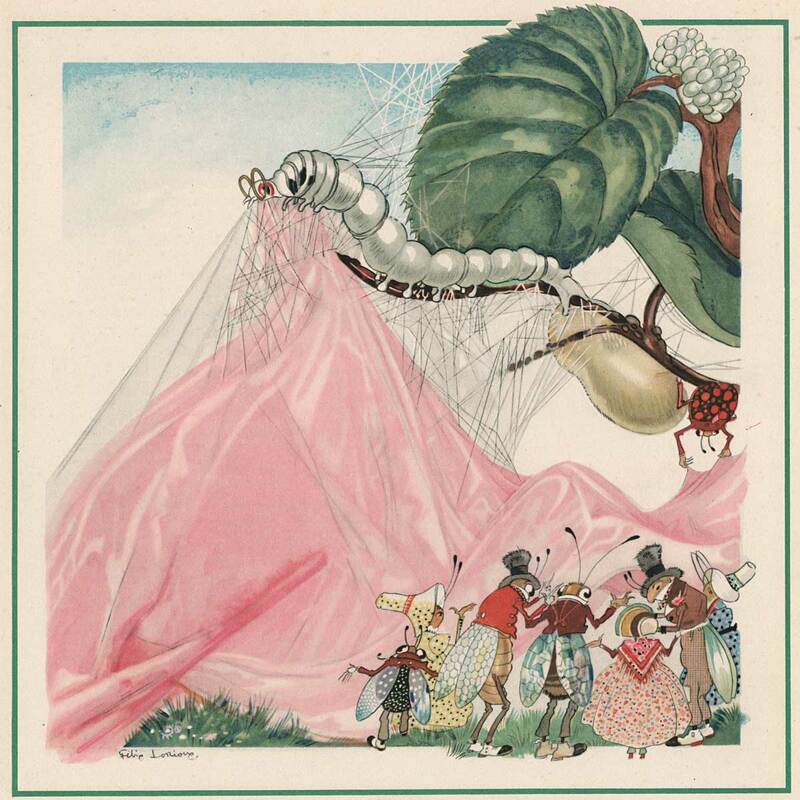 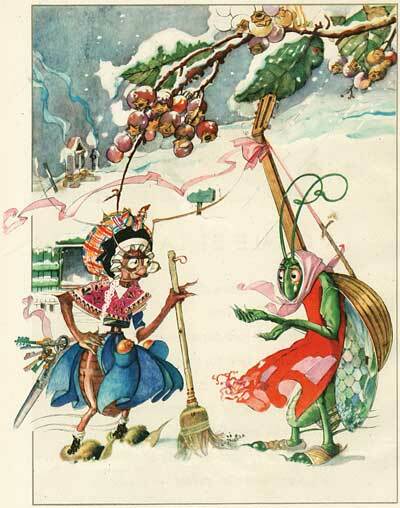 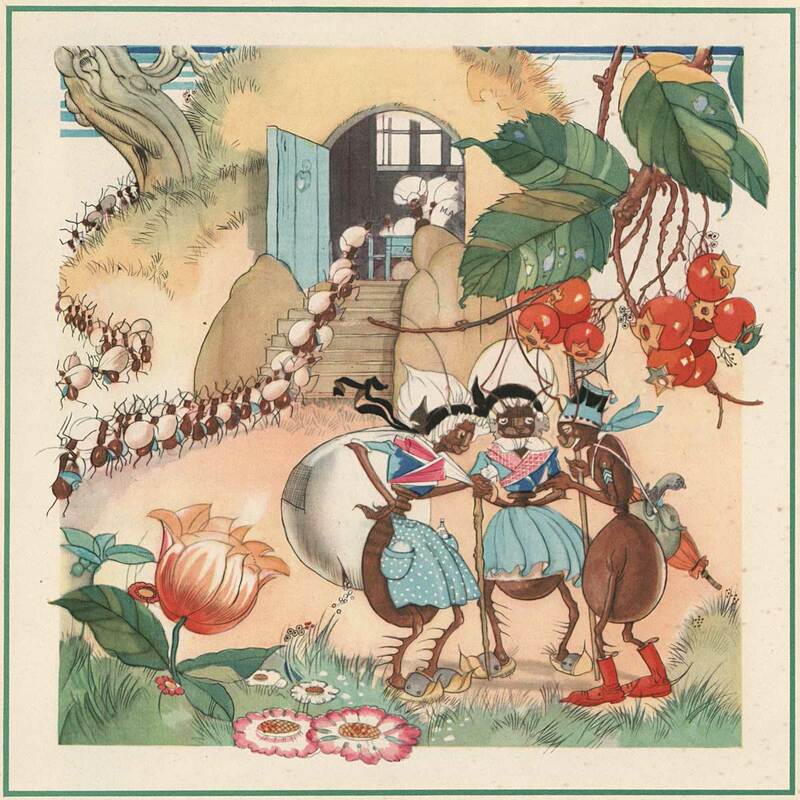 This book, "Le Buffon des Enfants: Les Insectes de Chez Nous" is one of his greatest works. 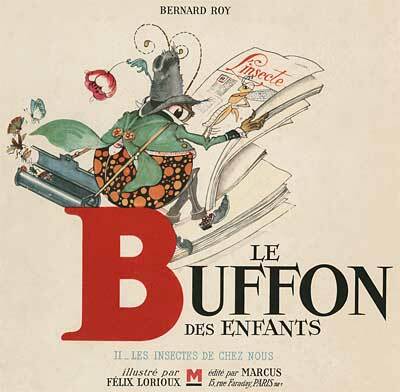 Tony was fortunate enough to stumble across a deluxe edition from 1946 that was limited to only 2000 copies. 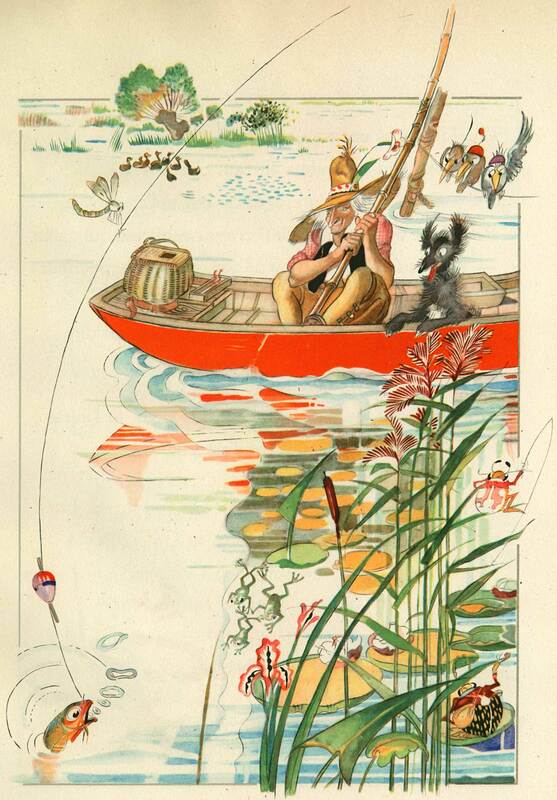 The print quality is astounding. 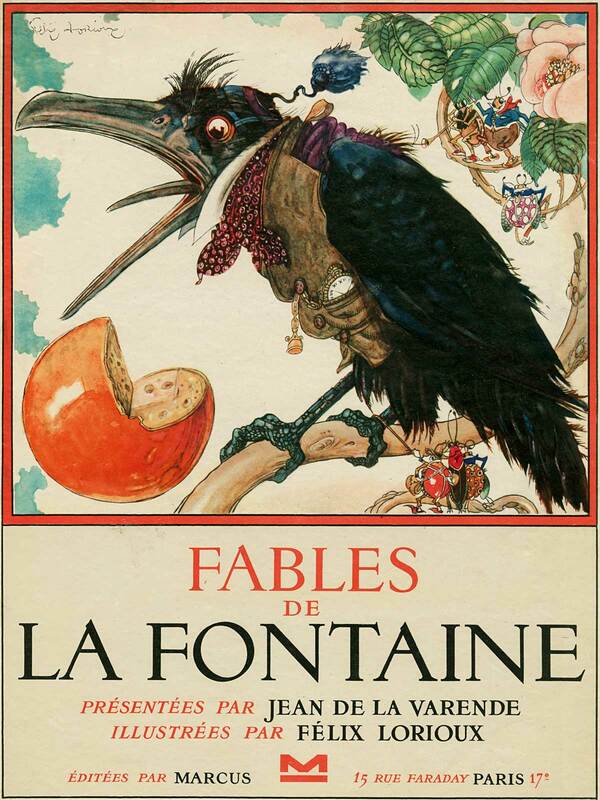 Lorioux’s books are rarely seen in the United States. 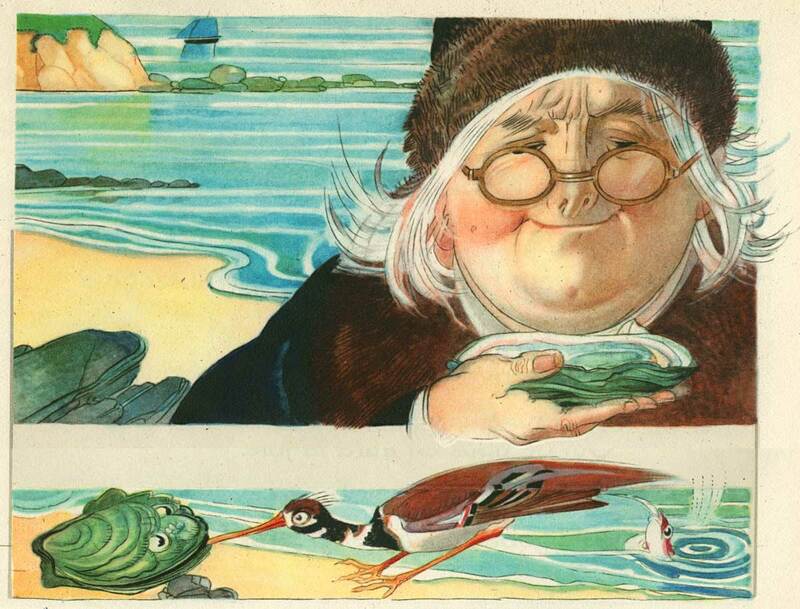 Thanks to Michael Andrew Wilson for sharing some information in this article. If anyone reading this has more information about Lorioux or his work, feel free to post it in the comments. 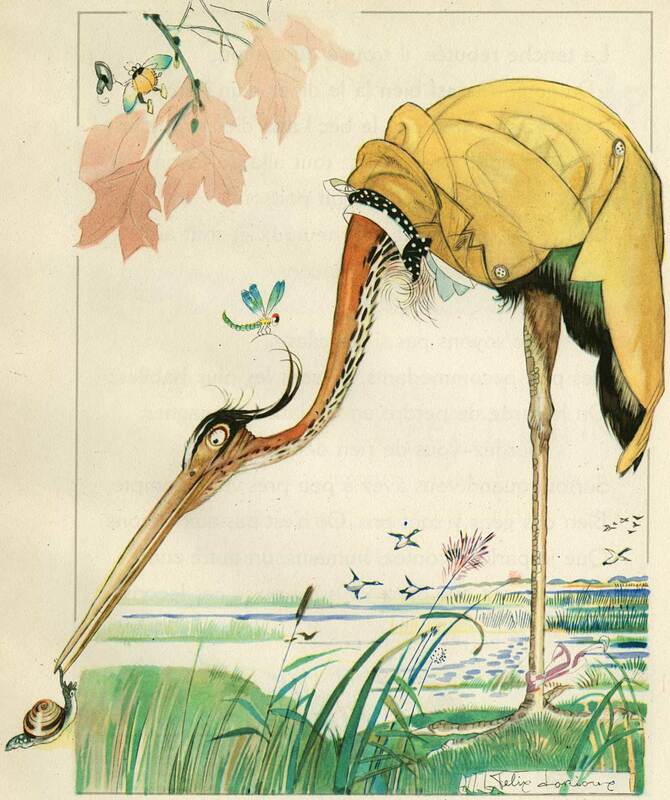 This entry was posted on Friday, June 1st, 2018 at 12:43 PM	and is filed under anthropomorphism, illustration, lorioux.